Another week begins with the Nintendo Download Update for Europe, and this week we have two major retail releases across the Wii U and 3DS; beyond that we have three rather good Wii games available on the eShop, some free-to-play Pokémon and a range of discounts. Let's get to the details. 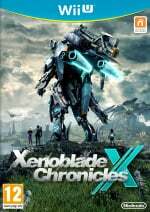 Xenoblade Chronicles X (Monolith Soft, €59.99 / £49.99 or €49.99 / £40.99 until 18th December for those that have downloaded Xenoblade Chronicles on the same Wii U) - An exciting arrival for many that enjoyed the Wii predecessor, this new entry sees an entirely new setting and cast on the impressive Planet Mira as a colony of humans strives for survival. It's a complex, demanding game that also rewards the many hours of time invested, with some familiar ideas and mechanics blending with new approaches. Our review will be with you later today, and until then you can check out our preview. Available from 4th December. Human Resource Machine (Tomorrow Corporation, €9.99 / £8.99) - From the team behind World of Goo and the intriguing Little Inferno, this takes the form of a fiendish puzzle game. In each level your boss gives you a job which you can automate by programming your little office worker. If you succeed you'll be promoted up to the next level for another year of work in the vast office building. Despite some flaws it's a neat idea, and we gave it a recommendation in our Human Resource Machine review. 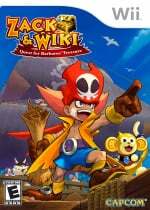 Zack & Wiki: Quest for Barbaros' Treasure (Capcom, €14.99 / £13.49 until 18th December, then €19.99 / £17.99) - When gamers talk about underappreciated gems from the Wii era, this can often come into the conversation. A quirky point-and-click adventure with a sharp script, this used the Wii Remote in various clever ways; it's very much a concept title for the system. We loved this in our Zack & Wiki: Quest for Barbaros' Treasure review. Kirby Mass Attack (Nintendo, €9.99 / £8.99 or €4.99 / £4.49 until 10th December for those that have downloaded Kirby: Power Paintbrush on the same Wii U) - Kirby has had his share of spin-off concept games, and this was another that graced the DS. Utilising the portable's touch screen this one's all about using lots of Kirby characters to get by, and we loved it in our review. Kirby: Power Paintbrush (Nintendo, €9.99 / £8.99 or €4.99 / £4.49 until 10th December for those that have downloaded Kirby Mass Attack on the same Wii U) - The DS predecessor to 2015 Wii U release Kirby and the Rainbow Paintbrush, this once again utilised the DS touch screen, except this time it was all about drawing lines to help Kirby roll his way along; we were fans in our original Kirby: Power Paintbrush review. Mario & Luigi: Paper Jam Bros. (Nintendo, €39.99 / £34.99) - The latest entry of AlphaDream's terrifically quirky RPG series sees the worlds of this franchise and Paper Mario combine. As a result the brothers team up with Paper Mario, and this allows the developers to play around with new ideas and approaches. We gave it a strong recommendation in our Mario & Luigi: Paper Jam Bros. review. Available from 4th December. Pokémon Picross (Nintendo, free) - This free-to-play version of the popular puzzle game comes with a Pokémon flavour, as you create images of 'mon and then utilise their skills and special buffs in follow-up puzzles. We'll start puzzling out how this one and its microtransactions come together. The Winx at Alfea – A fairylicious school (Rainbow, €1.99 / £1.79) - Available from 4th December. Mia and Me - A Centopic friendship (Rainbow, €1.99 / £1.79) - Available from 4th December. That's it for this week, so let us know what you'll be downloading in the poll and comments below. Voted for the data packs as they're supposed to be up today for download but also getting the Kirby games. XCX promo (thanks for the free XC Wii Nintendo) and the Kirby promos! Digital master race! Xenoblade and Paper Jam physical for me this week, so I'll download Picross for the free play. While there's other stuff there is like, I know it'd be silly to buy as my time will be occupied with X and will only be broken by Fast. Definitely getting Power Paintbrush, very interested in Zack & Wiki, and absolutely getting Xenoblade Chronicles from today's sale. All in all, a great week for gaming! Getting Xenoblade download packs and Pokémon Picross. Kirby's Power Paintbrush can wait. Got an email today that said my Xenoblade Chronicles X was sent and is on its way. Here's for hoping it'll arrive soon. Cool, three Virtual Console releases again. Shibata & co. are really stepping up with the virtual console business recently. Otherwise the week of big releases. Xenoblade Chronicles X, Paper Jam Bros and indie greatness with Human Resource Machine. Such a damn shame that Nintendo left out the Japanese audio from Xenoblade. They could've added that as optional DLC since it's material that already exists. Oh, man, people need to get Zack & Wiki if they don't have it. Don't let this gem pass you by. Picross! I can't wait to try it out. Never tried a Picross and it's a good oportunity now! Pokemon Picross, because any Picross is better than lack of Picross. Wait, weren't the Xenoblade X install packs supposedly available from today onward? If you haven't played it already, download Zack and Wiki! It was a awesome game with great puzzles, and did much more interesting stuff with the Wiimote then Skyward sword. The precision isn't that acurate though (far from it). But its still a great game! Yeah, they said on this site that you could download the packs in advance. But if they arrive when the game arrives, that's not the case. Strange. I hope Picross 3D 2 comes to Europe soon. Nothing for me... oops, forgot the download packs for Xeno X, I've preordered the collector's edition and also a physical version of Mario & Luigi Paper Jam. Man, this is a rad week for downloads. Awesome Kirby games, the Cyber Deals, even more Picross goodness, the massively underappreciated Zack & Wiki, Paper Jam and of course XCX. I'll keep my fingers crossed that the datapacks still go online before launch; I don't want to spend launch day downloading stuff from the eShop. Wow, I feel kinda sorry for the people who feel vindicated in attacking Nintendo's weekly eShop updates, because this is fantastic. One great new game on each platform, and then the additions of Zack & Wiki (fantastic and cruely underrated game), a few Kirby games and Swords and Soldiers for less than £1? I'll be busy buying Nintendo games this week! Given how much I enjoyed Rainbow Paintbrush, Power Paintbrush is on my list. And the XCX downloadable packs, too. Ow yeah, xenoblade download all the way! See you again in summer, guys. How does the pricing of the two Kirby games work? So, if I download both, I have to pay 4,99€ for one and 9,99€ for the other? The data packs can now be downloaded! Everyone buy Zak and Wiki,I really can't recommend it enough.There's nothing else out there quite like it.With it being largely ignored at the time,the chances of us ever seeing a sequel to it are basically zero but maybe if it sells well enough on the E-shop Capcom might at least give it some consideration. Human Resource Machine for me. If you don't have Zack & Wiki, I highly recommend it! Terrific week! I do already own the excellent pair of Zack & Wiki and Kirby's Mass Attack, but I do need to try Power Paintbrush. However, either one of Xenoblade or Paper Jam will keep me busy for ages! @Grumblevolcano I'm also downloading them right now. Only I was wondering why do I need 13,5 GB space to download 10 GB? Is Toki Tori 2+ worth buying for 3 Euros? I really liked the first one. @Humphries90 They're available. Go to the page of XCX on the eShop and select downloadable content! I can't recommend Zack & Wiki on the Wii enough. I still have my Wii version so won't be picking it up but I implore anyone who has never tried it to give it a shot - £14 is an absolute steal that you won't regret! @Oubie You misunderstand, by pre-download @Humphries90 is referring to the digital version (like with Smash last year) not the data packs for the physical version. Just checked the eshop and no pre-download,can't believe that.I was originally going to buy the download code from Gamesrocket for 38 pounds but when I saw Xenoblade Chronicles for 8.99 and the discount I thought I might as well get it that way and have the option to download it early.But no,us Europeans don't get that option. @Grumblevolcano Oops! I did it again haha! I understand it now. Sorry. I'll add my backing for Zack & Wiki, fabulous game that more people should have experienced first time around, hopefully it'll get a few more fans! Just the data packs for XCX and I'll try Pokémon Picross out too. Quite afew this week too get definitely XCX more like the free data packs for the retail version plus Zack & Wiki and maybe the Kirby games also. Mario & Luigi paper jam I'll get retail version. Awesome to see Zack and Wiki make a return! It was a sorely overlooked title for the Wii. I would rather get the physical version of XCX, and double check which version of the OS is needed to access eShop. If you you've downloaded/bought the Wii U game Kirby and the Rainbow Paintbrush you only pay 4.99€ each for of these VC Kirby games. @Splatburst No, it's simply you buy 1 of the 2 DS games and get the other half price. Whooops! Sorry! I got confused in the titles of the DS and Wii U games! I regret selling Zack and Wiki. Woo I can't wait until Xenoblade hits! Putting everything else down to play this! Can't wait for you guys' Xenoblade X review! Been waiting a long time! XCX retail for me. Friday can't come soon enough! I want the Kirby games, but I'm in America, so I won't get them for three months, give or take. Xenoblade and Human Resources Machine for sure. Zak and Wiki was fun up unti the end, when the broken sword fighting motion detection just ruined the game for me. If Capcom has carried out some much-needed bug fixing I'd be all over it. Erm, great week. But am I the only one seeing you guys (Nintendolife) saying there are three wii games on VC this week when in fact its just one? Soooo... no Xeno X donwload packs today as they already promised earlier? So the XCX with XC discount is still more expensive than retail XCX. As I predicted. @Bass_X0 You don't need Rainbow Paintbrush for the sales. Power Paintbrush makes Mass Attack reduced and vice versa. I really wish Nintendo would extend the same offers/discounts to those of us who've bought the game at retail, after all we've also supported and bought their title. It just seems unfair that we're never considered. Oh. I read it properly now. Thanks. I'll be downloading both of the Kirby games then. 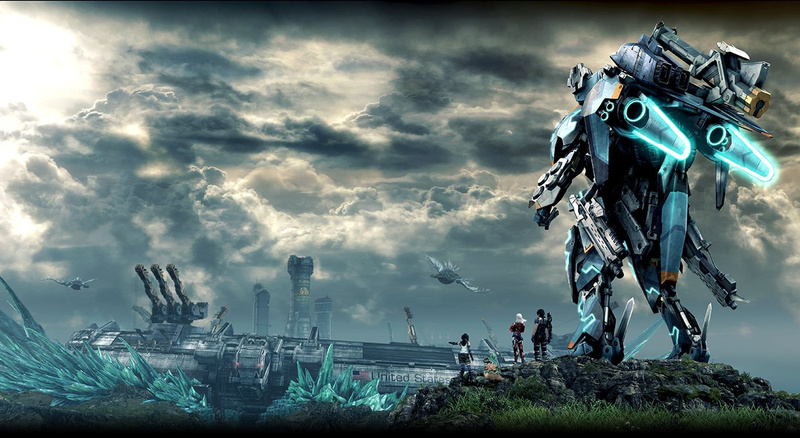 Xenoblade Chronicles X physical for me. Cant believe their charging £49.99 to download it when it's only £39.99 in Game. I'd say I'm looking forward to the Kirby games getting released on the North Americal VC, except that they probably won't be. Zack & Wiki is one of the best Wii games and, because of its visual style, has aged well. I guess NA will get another lame GBA game release on the VC this week as usual. Downloading those data packs as we speak. Looking forward to Friday very much. Zack and Wiki would be a good choice too; a fantastic gem of a game. @shigulicious Same, it was pretty great. I wonder if AeternoBlade is good at that price.